If you are like me, you enjoy the ease of taking notes electronically and having them stored away, but there’s something about a good ol’ fashion notebook that you just can’t replace. For some of the highest quality notebooks out there, Moleskin is hard to beat, and today Evernote has teamed up with Moleskin to combine the best of both worlds in this Smart Notebook. 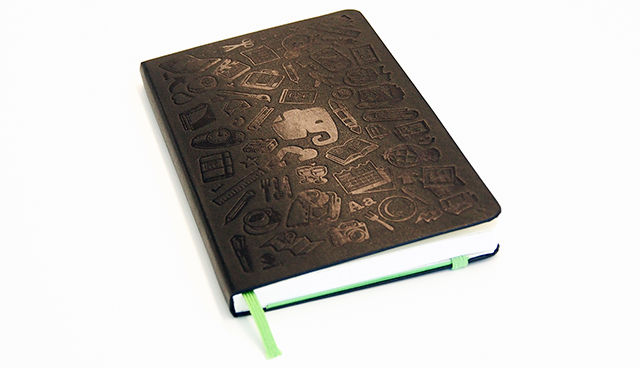 This is a notebook designed by Moleskin with Evernote in mind. It functions with the Evernote app (only iOS at this point) to where you take pictures of the page in your notebook and Evernote immediately corrects the image’s colors and contrast, but it also digitizes your handwriting and files it away automatically for you in your Evernote folder. The idea sounds pretty fantastic, and they come in a pocket size ($24.95) and a large size ($29.95). They aren’t on sale quite yet, but you can pre-order now if you want to get your order in early. The notebooks are expected to be here October 1. Angry Birds Space Updated, Those Darn Pigs Stole the Mars Curiosity Rover!